Just before the Protea’s headed off to Australia for the T20 and ODI series, we got to meet up with Kagiso Rabada at the Ram Slam T20 launch. My immediate impressions were that of a gentleman who is loving his current opportunity to play the sport he loves. He also appears unfazed by the fanfare that has started to surround him since he burst into hearts of all South Africans by dismantling Australia at the U19 Cricket World Cup. 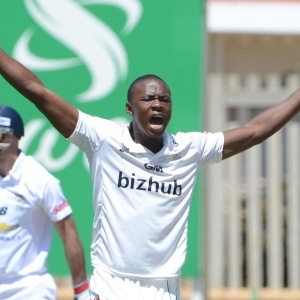 With a level head, Kagiso Rabada could make a long and fruitful career for the Proteas. We chatted to Kagiso about all things cricket. Jabu: On the back of your outstanding form for the U19 squad, you have broken into the Lions squad, which players have helped you settle into the franchise game? Kagiso: All the players in the team were very welcoming to me! I feel like I can go to any player for advice. Jabu: And just how big is the difference between school and franchise cricket? Kagiso: Its absolutely massive. The margin for error is way less. Franchise cricket is unforgiving, compared to school cricket. Jabu:How did the schooling at St. Stithians help in your development? Kagiso: Going to St. Stithians meant I was given good coaches who helped me with basics. We also had high quality training facilities as well as good people who helped me get me head screwed on right. Jabu: Who did you look up to when you were growing up? Kagiso: Not individual person, but rather lots of people, including my parents. I believed that I could take out lots of qualities from a variety of people rather than just from one. Jabu: Were you always a bowler or were you a bit of a batsmen too? Kagiso: I could do a bit of both, but my primary role has always been as a bowler. Jabu: How are you feeling about your Protea call up? Kagiso: I was excited and ready to get out there and express myself. Jabu: T20, ODI or Test? Kagiso: I like all formats, but for me the ones that stand out are 50 overs and test matches. I feel like the longer formats test your true skill, particularly test match cricket, not only does it test your skill, but also your mental strength, and character. Jabu: Away from cricket, what other sports do you play or support? Kagiso: Soccer, rugby, athletics, tennis… I’m a sports fanatic. Jabu: What do you like to do in your cricket downtime? Kagiso: I live my normal life. Spend time with Friends and also have some alone time. But, most importantly, spend time with family! 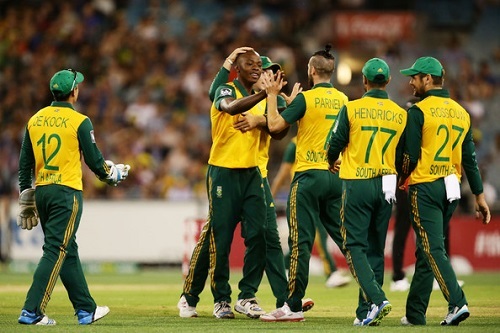 Kagiso featured for South Africa in the T20 series against Australia playing in the first two games and taking his first International wicket. He will be hoping to play some part of West Indies series as he looks to become a regular in the Proteas squad. Follow Kagiso on Twitter here.